The Master of Science in Nursing (MSN) program prepares you to be a leader in nursing education and/or in global public health. Select 1 of 2 concentrations and earn your MSN completely online. Courses are asynchronous, which allows you to learn on your schedule. Both concentrations provide the student with the foundational knowledge of healthcare systems, healthcare policy, nursing research methods, and healthcare informatics. You’ll apply your new knowledge in various practice settings, and a final capstone project prepares you for practice. Prepares you to become a nurse educator role in academic, clinical, or staff development setting. You’ll learn to design, implement, evaluate, and revise academic and continuing education programs for nurses. The curriculum integrates core masters-level concepts, advanced clinical foundations, and education-focused courses. It culminates in an intensive, individualized practicum of at least 112 hours. Each student collaborates with an experienced educator to grow in the role. View the Nursing and Healthcare Education program plan. Prepares you to work in the U.S. or in an international setting with diverse individuals, families, and populations, to improve healthcare outcomes through illness prevention, health promotion and health policy. The curriculum integrates core masters-level concepts, advanced clinical foundations, and global public health-focused courses. It culminates in an intensive individualized practicum of a least 112 hours. Each student collaborates with an experienced professional to grow in the role. View the Global Public Health program plan. MS students complete 39 academic credits that include a mentored capstone project that involves the design, implementation and evaluation of an evidence-based innovation in nursing practice. Synthesize specialized and diverse knowledge for application in nursing practice. Apply principles of organization and system leadership to promote high quality and safe patient care to individuals, families, groups, and populations. Apply quality principles within an organization. Use evidence to guide nursing practice, address patient problems, and disseminate results. Interpret information from a variety of healthcare technologies to integrate and coordinate care. Influence health system and health policy to shape care delivery to individuals, families, groups, and populations across the lifespan. Engage in inter-professional collaboration to promote health, guide clients through the illness experience, and improve the health system. Apply the principles of culturally appropriate care to plan, deliver, manage, and evaluate healthcare individuals, families, groups, and populations. Influence healthcare outcomes through nursing practice by integrating advanced scientific, clinical, and systems knowledge. Hold a Bachelor of Science degree in nursing from a program accredited by the NLNAC or CCNE. Have a minimum GPA of 3.0 in undergraduate study. Hold a current license to practice professional nursing in the state where you live. Submit 2 letters of reference that document competence, leadership and professional integrity in nursing practice. Registered nurses who hold a BS or BA degree in another field: the Graduate Admissions Program (GAP) is open to you. GAP students take NUR 503 Transitions Advancing Nursing Practice in which they complete a portfolio that documents how they attained undergraduate nursing program outcome objectives. With an academic advisor, students review this portfolio and select an additional courses that rounds out their undergraduate preparation. RN-BS student with GPA of 3.3 or better: With a recommendation from the RN-BS program director, you may take up to 9 graduate credits (from among the following courses: NUR 500, 511, 520, or 547) that count as undergraduate electives. If the student applies and is admitted to graduate study immediately after receiving the BS degree, the courses will also count toward the MS degree. 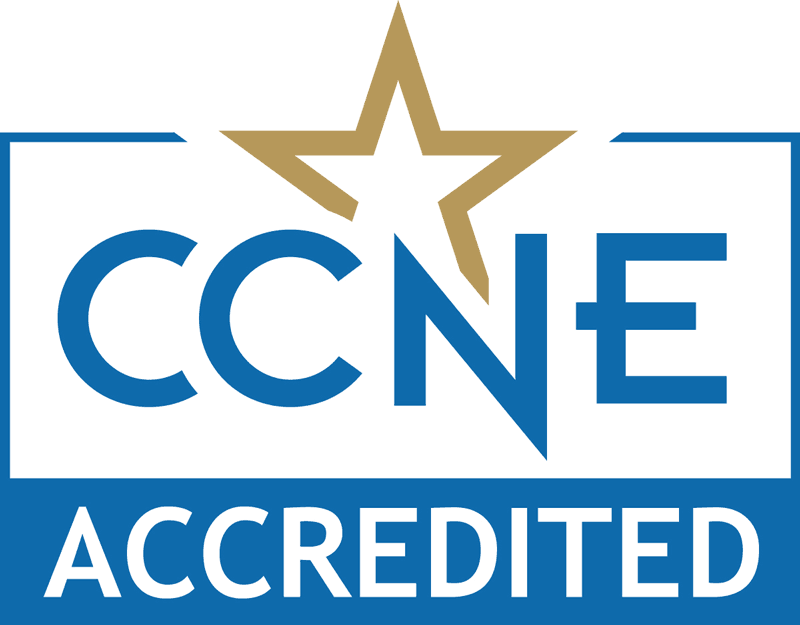 The master’s degree in nursing at the University of Massachusetts Dartmouth is accredited by the Commission on Collegiate Nursing Education, One Dupont Circle, NW, Suite 530, Washington, DC 20036, 202.887.6791.